Tagline: Nothing is harder to track than the truth. 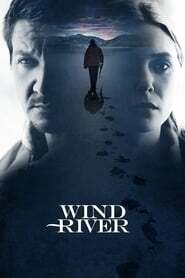 Plot: An FBI agent teams with the town's veteran game tracker to investigate a murder that occurred on a Native American reservation. I watched this last night. Found it very good, the tension was spot on, some heartfelt moments (that ending). Really like Renner as an actor. It's available on Netflix now.